This mini teacup shaped cheeseboard and spreader is such a fun favor for your tea party bridal shower guests. 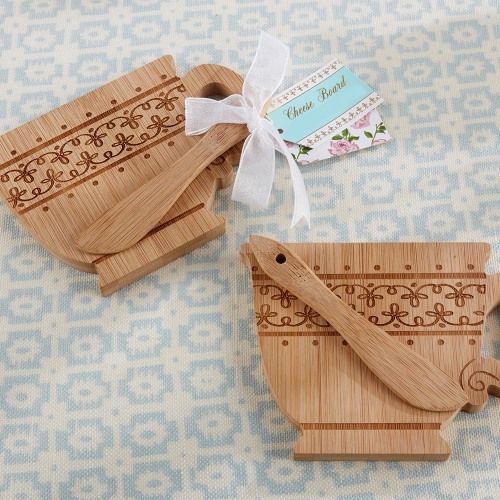 The cheeseboard is etched with a whimsical design and both the cheeseboard and spreader are made of bamboo. It's practical, adorable, and perfect for any tea party themed event.